Last week I received a gorgeous surprise gift in the post - it totally made my week! 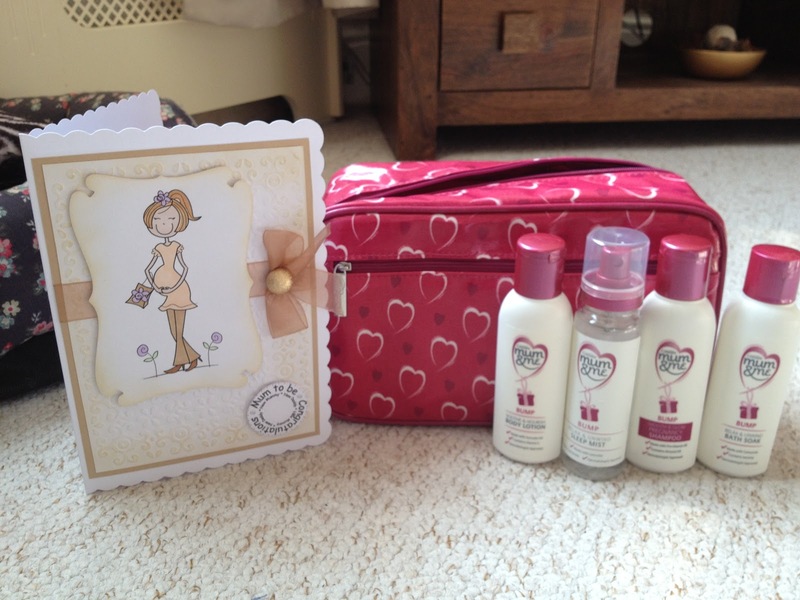 It was a gorgeous card, and beautiful Cussons 'Mum & Me' cosmetics bag with a set of lovely pregnancy toiletries - bump soak, pregnancy shampoo, body moisturiser and a delicious relaxing pillow mist spray...all from the lovely Emma, to say 'Congratulations' to us on our pregnancy & how excited she is to know we're expecting Baby-Bishop. :-) I was so touched by this message and gift! How lovely friendship is. It feels amazing to know I am supported not only by my friends and family I see and speak to regularly, but my lovely blogger-friends too! P.S the pillow mist is amazing for when you start getting pregnancy insomnia, it's amazing stuff!! You are really lucky.You have got a friend like this.